What, like it's hard? 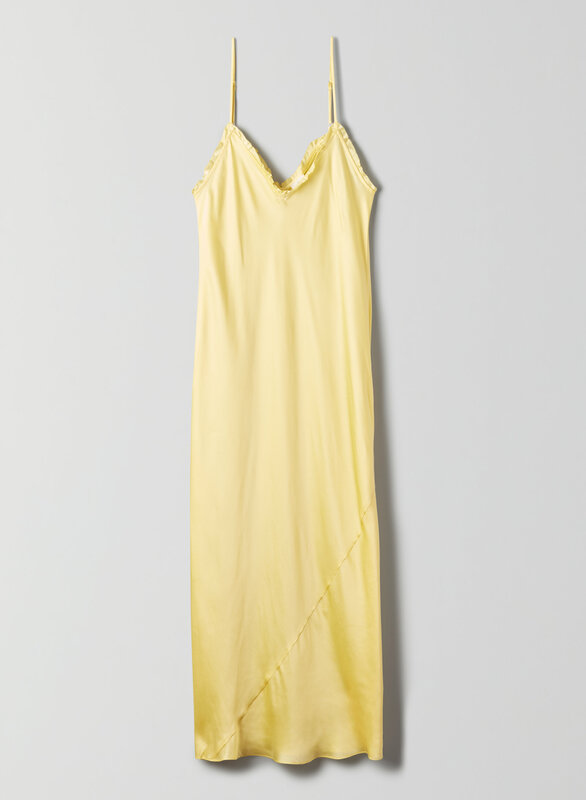 This is a slip dress with adjustable straps and a sweetheart neckline with ruffle trim. It's made with a glossy satin fabric from Japan.